With the beginning of 2019, a large number of citizens are awaiting a number of important legislations, in accordance with promises from parliament to finalise these laws soon. The parliament is the country’s legislative authority, which issues rules and regulations for state entities to work under, in accordance with the constitution. The state’s most significant and serious decisions are always forwarded by the cabinet to the parliament, for discussion and debate, before the president’s ratifications. The parliament passed hundreds of laws since its recent establishment in 2016, some of which were the subject of public objection on both the economic and political fronts, including laws concerning media, as well as social media. Other laws came amid major economic reform policies implemented by the regime. 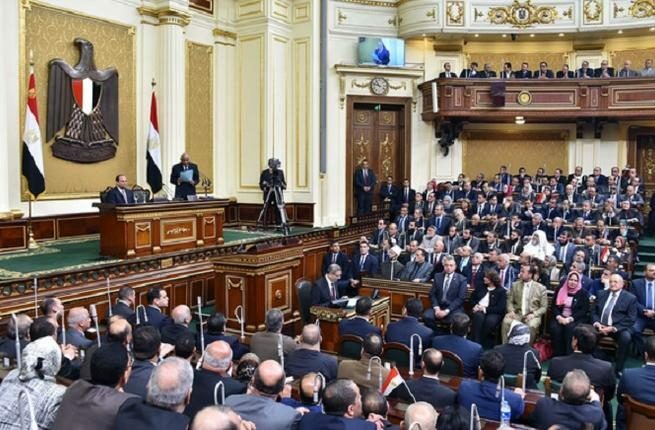 The year of 2018 saw the approval of the highest number of laws in the history of the Egyptian parliament, said parliament speaker Ali Abdel Aal, in a comment on the parliament’s achievements following the closing session of third legislative term in July 2018. A total of 111 laws were approved during the third term, which began in October 2017 and ended in July 2018. The number of laws approved during the third term were less than the second, during which parliament approved 217 of the bills proposed by lawmakers and the government. The first term witnessed a low rate of bills passed, as only 82 were approved. 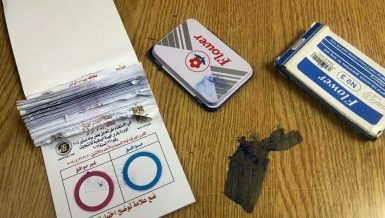 Laws in the third term ranged from laws granting Egyptian nationality to foreigners; treating senior military leaders; increasing salaries of military personnel, ministers, diplomats and parliamentarians; media and press laws, to cybercrime laws. 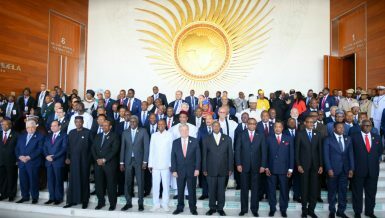 In addition to this, comprehensive health insurance; persons with special needs; trade; labour unions, laws for the electricity sector and antiquities protection were also addressed. All these laws were anticipated years ago to regulate conditions of governmental and private institutions, as well to ensure justice within society. What to expect for 2019? The long-awaited Criminal Procedure Law comes on the top of parliament’s agenda this year. 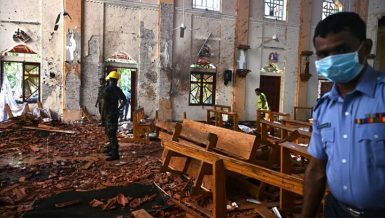 The anticipated law, famous as the country’s second constitution, is expected to be issued in 2019, marking the first full amendment of a law since 1950s. Throughout the past two years, several discussion sessions were held over the amendment of the law’s 500 articles. The Draft Law on Local Municipalities is one of the most important Draft Laws to be ratified in 2019, which is anticipated by citizens. With the approval of this law, local municipality elections will be held, which will supervise the executive branch in the governorates, and reform the role of local municipalities and eliminate corruption. 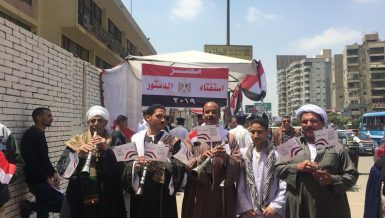 Ahmed al-Segaini, head of the local administrative committee, said that the local administrative committee has been responsible for the draft of the Local Administration Law since the second term, and it had ended its discussion and has been in full agreement with the government over its articles. He added that the Draft Law is currently in the possession of the general secretariat of the parliament, as a step to forward it to the plenary session of the parliament for final approval. The Draft Law on Reconciliation in Building Violations is also at the very top of the most important laws, as it aims to reconcile with cases of illegal construction and encroachments on agricultural land. The housing committee concluded discussions over a draft submitted by the government and approved it, in coordination with the government. It was also referred to the general secretariat of the council in preparation for its inclusion in the plenary session for final approval. Yousry Al-Moghazi, deputy of housing committee said that the Draft Law is on its way to final approval soon, expected to be included in the next plenary meetings. What has been achieved in 2018? Commenting on the progress of the legislative duty of the parliament during 2018, parliament deputy Al-Sayed El-Sherif, said that the third legislative term of parliament was very fruitful and witnessed several discussions and agreements which resulted in the approval of 111 bills and 32 international conventions, as well as the viewing of 385 requests for briefings and 303 urgent statements. “One of the most important events witnessed during this term was receiving President Abdel Fattah Al-Sisi for the swearing-in as President of Egypt for the second term,” El-Sherif said, adding that the most important laws that pleased the hearts of Egyptians were the amendment of the Law of the Organisation of Prisons. He also added that during the year of 2018, there were several laws approved to strengthen and enhance sectors which provide health care, support labour and youth rights, combat corruption, enhance Egypt’s nuclear energy capabilities, and facilitate investment procedures in Egypt. The deputy cited examples for the important laws passed in 2018, beginning with the Press and Media Law, working on a draft of the Criminal Procedure, and the Law of Local Administration. 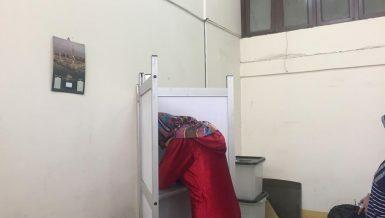 “The parliament was keen to complete the Law Regulating the Press and the Media as it would regulate the profession, and the Criminal Procedure is the “backbone of the justice system and includes about 600 articles,” El-Sherif indicated. The deputy also clarified that there were laws which strengthened Egypt’s capabilities in several fields, such as the comprehensive Social Health Insurance Bill to provide full health care to citizens with practical mechanisms in order to ensure its continued implementation, as well as another Bill on the Rights of Persons With Disabilities. 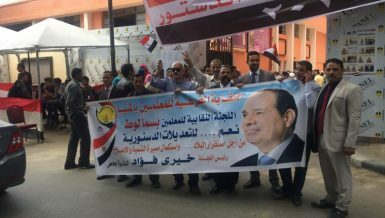 He added further that amending certain articles of reorganisation the Administrative Control Authority were among the parliament’s achievements, pointing out that this law particularly reflected a real will to confront corruption under the leadership of Al-Sisi. Moreover, a law drafted by the government concerning the issuance of the Trade Union Organisations Law and the protection of the right of unionisation was approved. Plus, another Law Organising the Election of Representatives of Workers in the Governing Bodies of the Law was passed. In addition there were amendments to the Law Determining the Financial Treatment of the Speaker of the House of Representatives, the Prime Minister, members of the government, governors and deputies. Furthermore a Law was drafted on the increase of pensions by a minimum of 15%, EGP 150, raising it from EGP 500 to EGP 750, elaborated El-Sherif. Moreover, a draft Law was submitted by the government granting an exceptional allowance to state employees subject to the Law of Civil Service in the categories of specialised fund cuts of 200 per month for the fourth financial degrees and below, and EGP 190 per month for the first, second and third financial degrees, as well as a special bonus for employees in the state who are not subject to the Civil Service Law at a minimum of EGP 65 per month, and the minimum amount of the periodic allowance for civil servants under the Civil Service Law is EGP 65 per month, he also clarified. For the second half of 2018, during the fourth legislative term, El-Sherif said that the most important legislations were the Law of Local Administration and continuing the discussion of the Code of Criminal Procedure and the Law of Reconciliation in construction violations, the Law of Unified Construction, the Personal Status Law, the Old Rent Law, and the Laws of Traffic and Public Shops. In June parliament passed the Anti-Cyber and Information Technology Crimes Law, which aimed to combat hacking, and allow the blocking of online websites should their content be considered threatening to national security. The Law included 33 sentences ranging between imprisonment and fines, and blocking websites violating laws and restricting publishing on social media sites if they incited harm in the country. Then in July, parliament passed a law regulating media and social media targeting popular accounts under the pretext of combatting fake news, putting accounts with over 5,000 followers under legal responsibility. In July, parliament passed the Press and Media Law. The three-in-one law provides for regulating the work of the National Press Authority, the National Media Authority, and the Supreme Media Council, which are the three bodies that supervise the work of the press and the media in Egypt. A number of the articles of the law were criticised for placing some restrictions that would hinder the work of the profession. 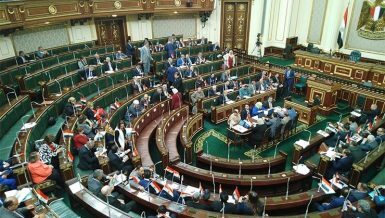 Parliament approved a government-drafted bill to amend some regulations of Law 1960 related to the entrance and residence of foreigners in Egypt, allowing foreigners residing in Egypt to receive the Egyptian nationality. The amendment requires those who want to obtain the Egyptian nationality to deposit EGP 7m or its equivalent in a foreign currency. The nationality will be granted to them after five years since the time of the deposit. On July 16, parliament passed a bill regarding the treatment of some senior military leaders of the armed forces, following a presidential decree. The Law gives more privileges and immunity for senior military commanders. The parliament approved the establishment of a sovereign fund in the name of “Egypt Fund” with a capital of 200bn pounds. The president of the republic may transfer the ownership of any unused assets owned by the state and any of its subsidiaries or subsidiaries to the fund. 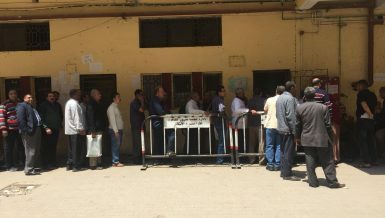 A parliament member passed a Law to “regulate the work of mobile food carts such as those selling beans for a fee of EGP 5,000 per year, with other requirements,” which angered vendors who considered it a burden and put them in the face of extortion of local administration employees. In June, parliament passed the Law to Increase Pensions for ministers and members of the government, governors, and their deputies by 80% of the net maximum wage. Although the parliament approved the “Terrorist Entities” Law in 2017, in April, it further issued the “Regulation of Inventory, Management, and Disposal of Terrorist Groups and Terrorists” Law, to seize funds. Parliament finally passed in May a long-awaited Law on Ride-Hailing Applications as Uber and Careem companies have been growing in the Egyptian market for a couple of years. The law was debated for some time between the companies’ representatives and the government, as the latter insisted on having a grip over customers’ databases. The final version of the law dropped the suggestion, instead of requiring that companies keep users’ data for 180 days, and provide information on users upon authorities’ request, or according to the Law. When will agricultural sector receive appropriate share of funds from banks? Future of cash: will it become obsolete?